It’s that time of year when you dust off your really nice barware and cocktail glasses. Entertaining friends and family become an every weekend thing for about 6 weeks straight. You scour your book collection for a new cocktail to make to impress your friends and become the hit of the party. Yes…it’s THAT time of year! Cranberries are a beautiful food. Bright Red. They remind us of Christmas and all things cheery. Good times! 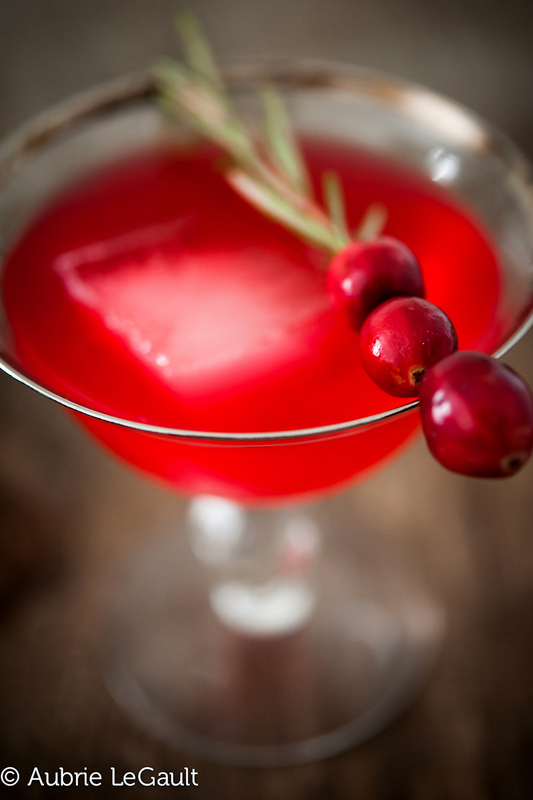 The Cranberry Smash came to me when flipping through an old issue of Imbibe. I love that magazine, chock full of recipes and tips, and gift ideas too, you should check it out! 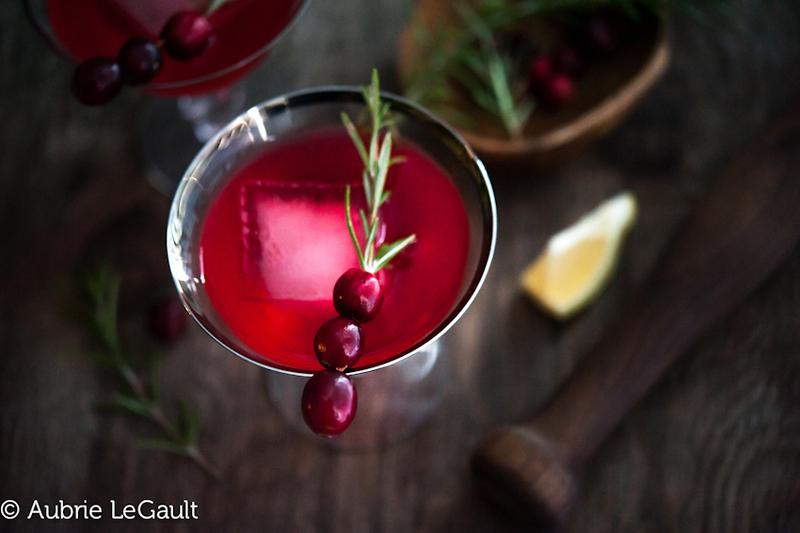 Back to the cranberries…I wanted to do a cocktail with cranberries, tis the season, and that’s when I saw this little recipe. Cranberry Smash. It’s not new, in fact you’ve probably had one before. It’s an oldie…. We were headed over to Aubrie’s studio to do this photo shoot, along with a pumpkin pie and the spiced apple cocktail. Aubrie takes amaaaaazing photos, you must check her out. Andrew and I also learned a few tricks of the trade about food styling and light while we were there. And she got to nosh on some yummy pie and knock back a few cocktails. Good times we had! 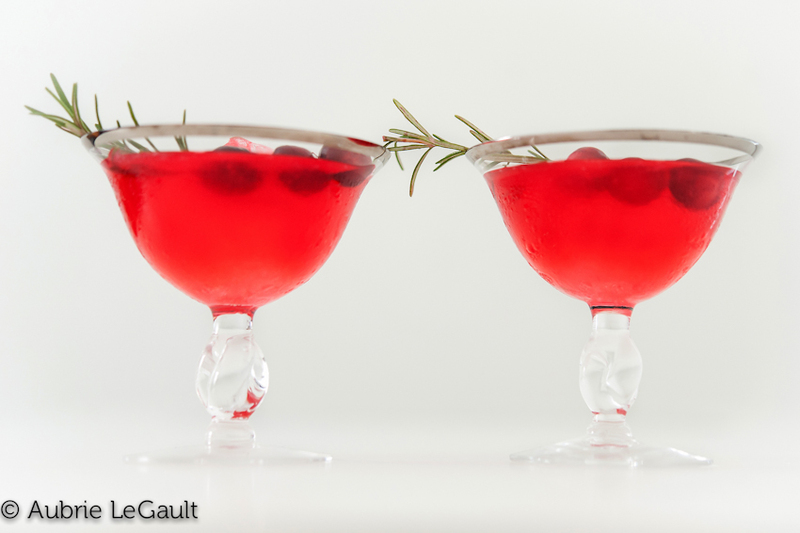 Be sure to check out Aubrie LeGault’s website, browse and drool over her gorgeous photos, then make a batch of Cranberry Smash for your next party! 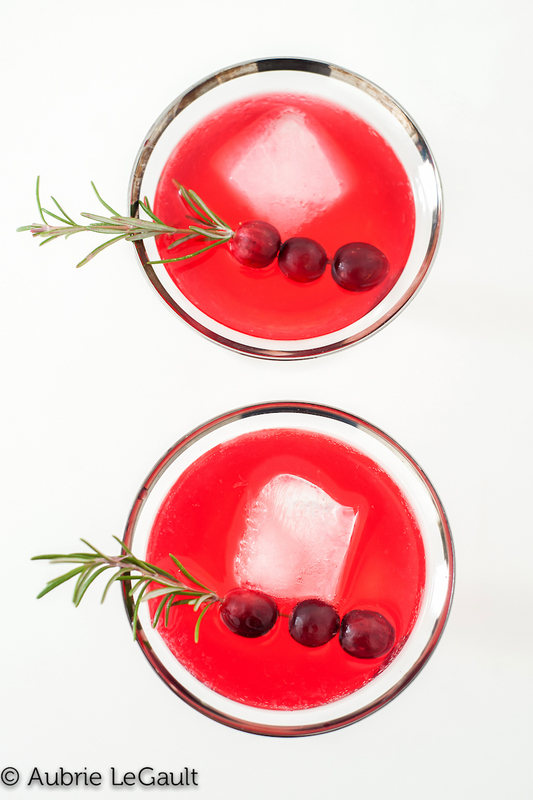 Soak cranberries in gin for 1 week. I put mine in a large mason jar, and over tightly. Drain gin into a new bottle and toss the cranberries. In a shaker, muddle a pinch of chopped rosemary and lemon. Add 3-4 oz of gin to the shaker with ice. Shake until chilled, strain into a cocktail glass. 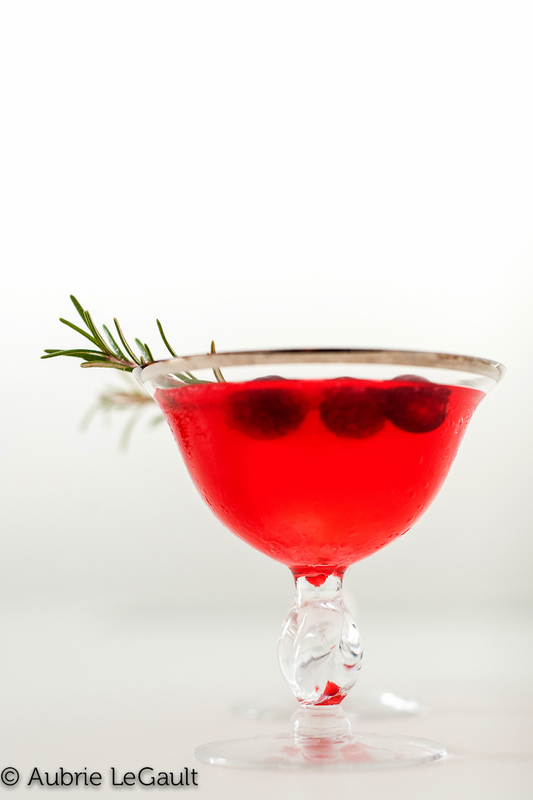 Garnish with cranberries on a sprig of rosemary. Yum! Even though I am pregnant, I still like making cocktails for my family and friends. I will have to try this one out! Oh my goodness that looks DELICIOUS!! Beautiful photos worthy of drooling! Thanks Macey! I’m still in awe over Aubrie’s photos of my food! No simple syrup or sweetness at all? Sounds really tart. This looks so gorgeous! The colors are stunning. 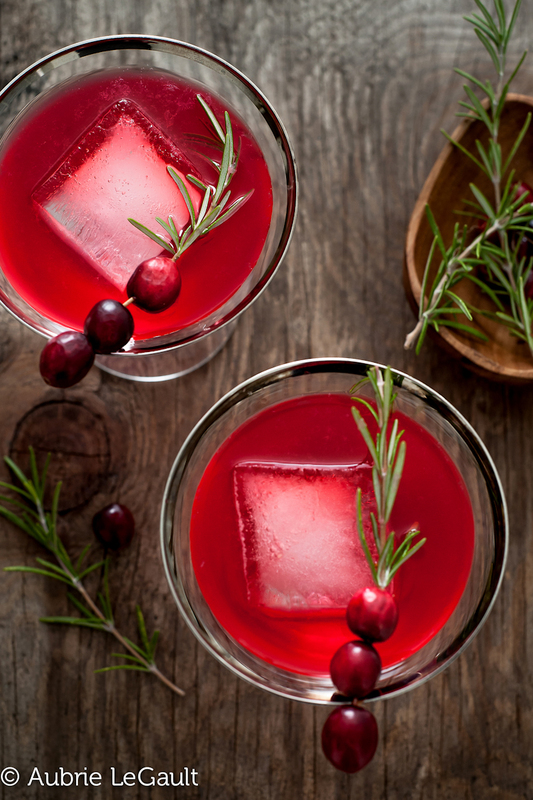 It requires some thinking ahead to soak those cranberries and gin, but after that it’s simple, perfect to prepare for a holiday party! Pinning it now!